London, UK – 1st February 2018 – Canonical, the company behind Ubuntu, announces today that Skype is now available as a snap, the universal Linux app packaging format. Available as of today, the release means that Skype can deliver its communication service to a wider range of Linux users, including millions on Ubuntu. Skype is used by millions of users globally to make free video and voice calls, send files, video and instant messages and to share both special occasions and everyday moments with the people who matter most. Skype has turned to snaps to ensure its users on Linux, are automatically delivered to its latest version upon release. And with snaps’ roll-back feature, whereby applications can revert back to the previous working version in the event of a bug, Skype’s developers can ensure a seamless user experience. 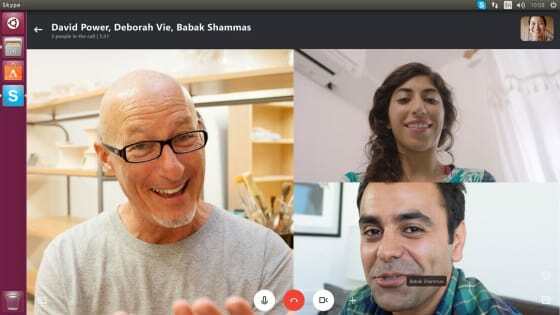 The Skype snap will work natively on all Linux distributions that support snaps, including Linux Mint, Manjaro, Debian, Arch Linux, OpenSUSE, Solus, and Ubuntu. This Skype desktop application is compatible across the wide range of Linux platforms, opening it up to an increased range of devices and to millions of users. Snaps are containerised software packages, designed to work securely within any Linux environment across desktop, the cloud and IoT devices. Thousands of snaps have been launched since 2016, with its appeal coming from the automatic updates and roll-back features, plus security benefits, allowing greater flexibility for developers on the one hand, and a more seamless experience for users on the other. Skype is available to download as a snap by clicking here or running snap install –classic skype.